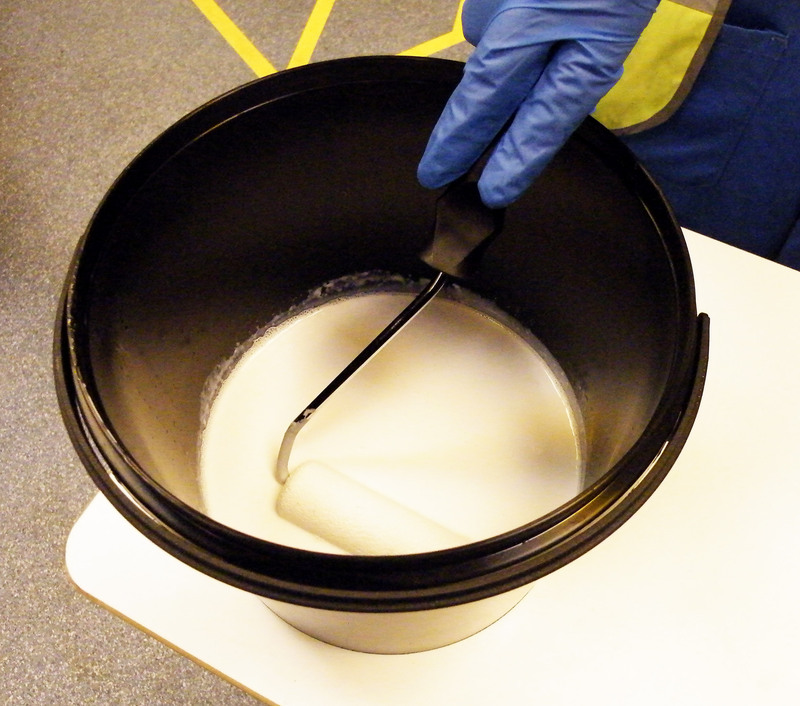 CPS Low Tack Adhesive - GOTS approved platen adhesive. 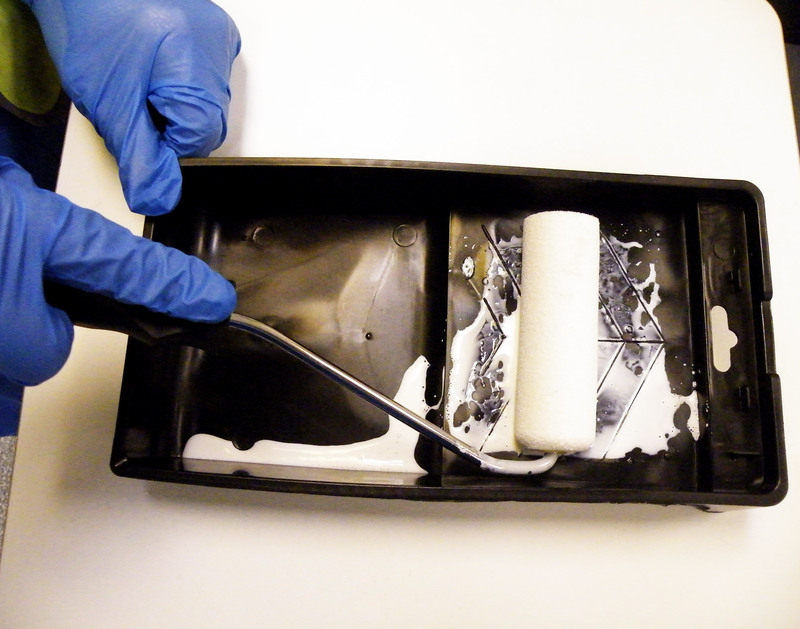 Premium VOC free water based platen adhesive for textile printers that has been approved as a non organic input for GOTS by the Soil Association. 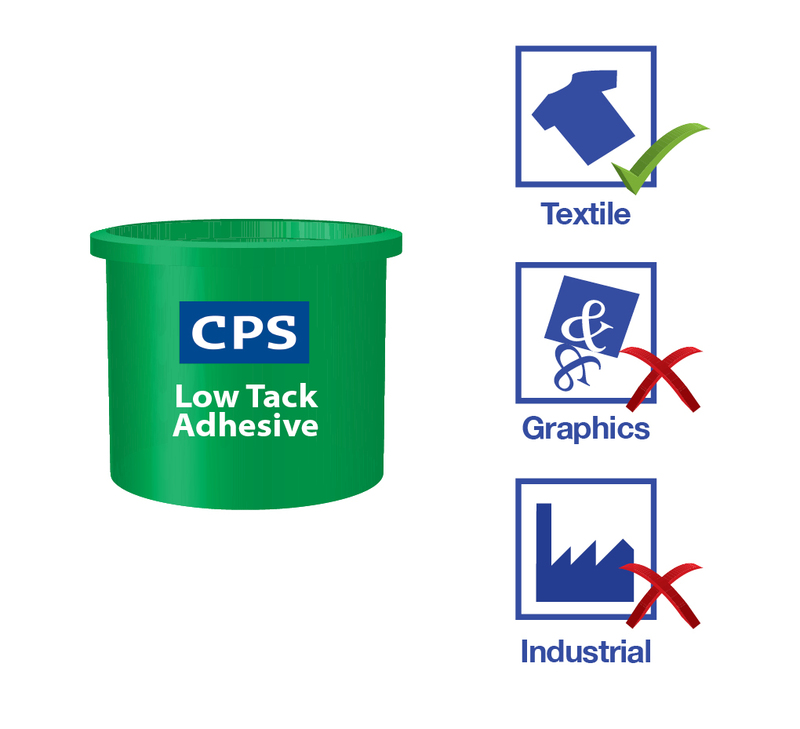 CPS Low Tack Adhesive is a water based platen adhesive and gives superior performance to aerosol based spray adhesives. Typically, over 500 garments can be printed between applications and the recommended application method of using a roller ensures that there is no over spray of adhesive onto other parts of the printing machine. The product is extremely economical in use and guarantees maximum print output. * GOTS approved by the Soil Association. * Helps protect your carousel and flash driers from build up of flock. Screen printers and digital printers of textiles, apparel, bags, t-shirts and garments. This is available as a concentrate in 1 litre, 5 litre, 25 litre & 210 litre pack sizes. Screen printers of textiles, apparel, garments, t-shirts, tea towels and bags. Especially those that are involved in printing onto Organic Cotton and are GOTS approved.